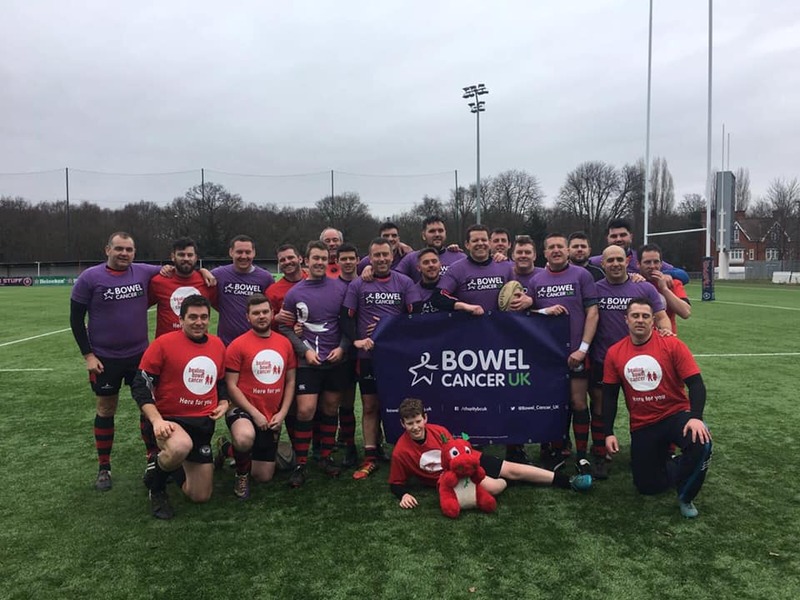 On Saturday 23 February, Members of the Welsh Assembly Rugby team will go head to head with members of the House of Commons and House of Lords rugby club. All money raised on the day will help stop people dying of bowel cancer. Formed 13 years ago inhonour of AM Glyn Davies, following his bowel cancer all clear, Welsh Assembly RFC have raised over £30,000 to date. Following the match both teams will come together to watch the Wales v England Six Nations game, inside Caerphilly Rugby Clubhouse. Food will be available alongside a raffle, with all funds raised going to us.